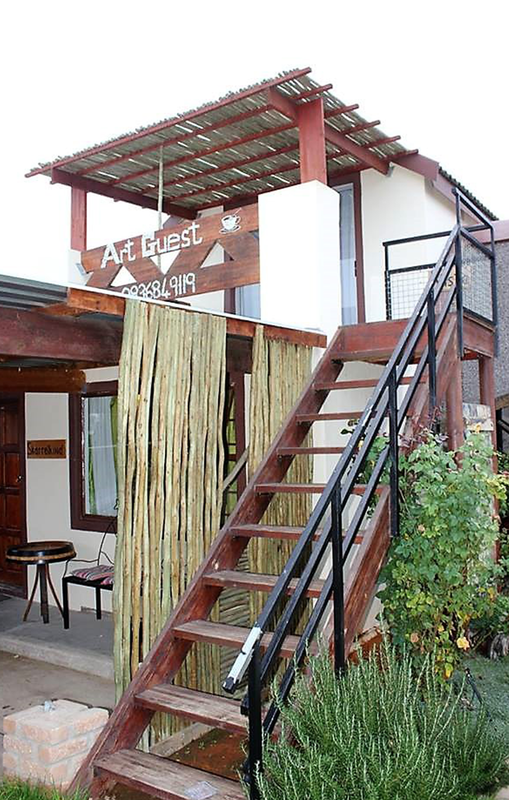 Art Guest House is a quality but arty and informal guest house which provides excellent overnight and long term accommodation. There are several rooms convenient for any group, including single travelers, couples and small or big families. We also have an on-site coffee shop and lapa/braai area and provides meals, take-away, braai packs, picnic baskets etc. Our garden is also popular with wedding photographers.